The renovated building houses a visitor center on the first floor and offices upstairs. 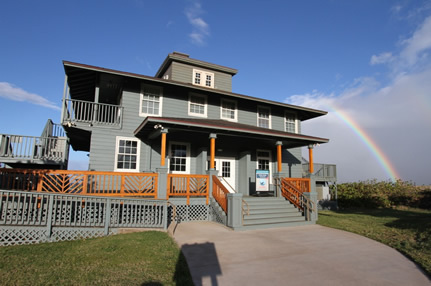 Located in Kīhei on the south shore of Maui, the visitor center is an ideal spot to learn about the marine environment and even see humpback whales breaching. 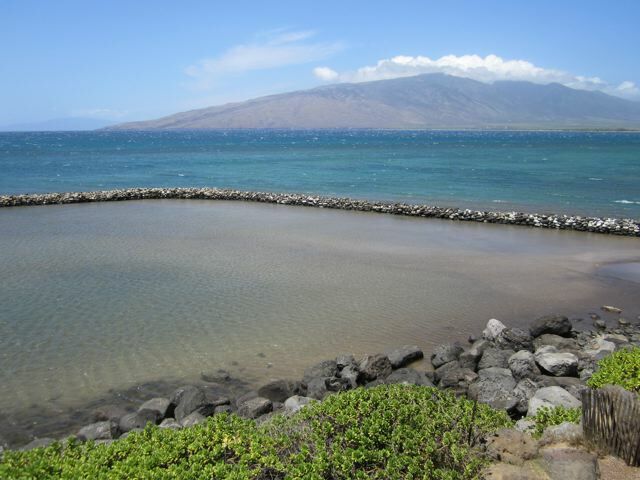 This scenic beachfront location at the foot of Haleakalā has views of Kahoʻolawe, Lānaʻi and West Maui looking across the waters of the sanctuary. Recently renovated, the visitor center currently showcases temporary exhibits, while permanent exhibits are still being planned for the future. There will be interpretive signs around the lanai to highlight stories of the historic Hawaiian fishpond, the scenic view, and conservation messages related to the surrounding environment. 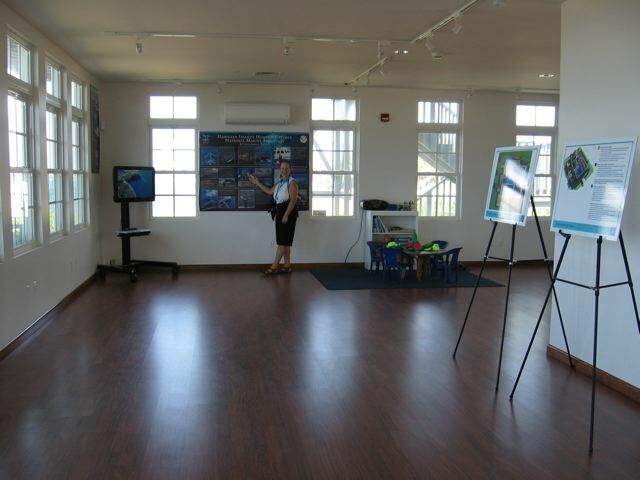 Inside, the exhibits will tell the story of marine animals and coral reefs that are found throughout Hawaiʻi. Intertwined will be displays on how native Hawaiians lived in concert with the land and sea. 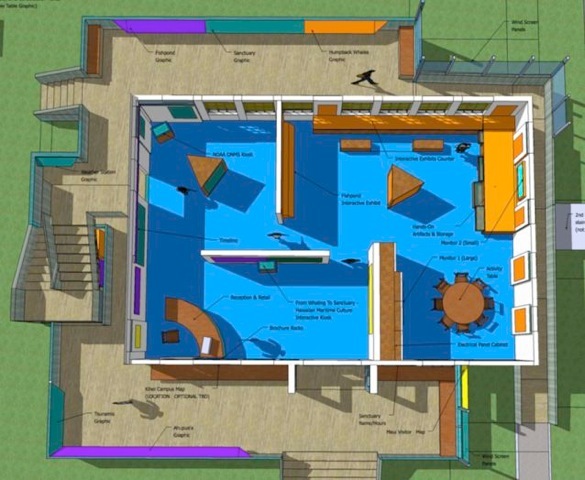 Visitors to the new center in Kīhei will be able to learn about the efforts by NOAA, the State of Hawaiʻi, and others to protect humpback whales, monk seals, sea turtles, and coral reefs. If you are interested in supporting these new exhibits please learn how to volunteer for the Hawaiian Islands Humpback Whale National Marine Sanctuary or donate to the National Marine Sanctuary Foundation. Future exhibits in the visitor center will highlight the work of NOAA and others in protecting the sanctuary and marine environment. The inside of the newly renovated visitor center. Kōʻieʻie fishpond was built over 500 years ago and its stone walls are still maintained as an important link to traditional Hawaiian practices.